Dentist: “I’m Very, Very, Very Impressed!” – We Got This! I could see the shock in her face the instant she opened Ryan’s mouth. Oh no! What’s wrong?!? Egads! Have we been missing something? Did we cause some condition or trauma? You see, it has been our philosophy, all along, to keep Ryan in top possible physical condition. When he wakes (yes, I will never give up), we want to focus as much as we can on the cognitive recovery and minimize physical impairments. I was beyond flattered! Dr. Jaju was so complimentary of the oral care (and overall care) Ryan is getting. She looked up and said, with a big smile, “I’m very, very, very impressed! He is extremely well taken care of. He is lucky to have parents like you.” My head immediately inflated. It still is. As Dr. Jaju left, she turned and said “It is my honor and privilege to meet you and Ryan”. Something, I’m proud (and openly bragging) to say, we’ve heard many times before. But, it’s never any less inspiring or appreciated. We’ve had doctors tell us they trust us more than their nurses. We’ve had nurses tell us they trust us more than the doctors (turn around is fair play, as it were). No matter, it’s important for us to know we are doing right by Ryan. And, hey, if I get a little ego-boost out of it, why not? I could use a pat on the back every now and then. Remember, I’m married… it doesn’t happen often. Upon further thought, she did have a recommendation. Don’t brush so hard around the canines. Done, and done! You inspire me each and every day! Ryan is definately in the best hands of them all…Gods and his family! What a testimony you all are! Thank you! Guess you didn’t tell her about your skittle habit huh? That would have been the fruity rainbow kiss of death. Ken, your post truly made my day!! You go ahead wit your own bad self, you deserve every compliment you get, and then some!!! I can say for myself, I would certainly trust you 100% if you were my doctor, and I don’t say that lightly! Applause, whistles, cheers and accolades coming from people all around Loudoun County, Morgantown, Fairfax, D.C. and beyond!! You rock, Ken!!! By the way, I’ve been taking our kids to Ashburn Children’s Dentistry for 13 years, and they have only ever received the very best in care. 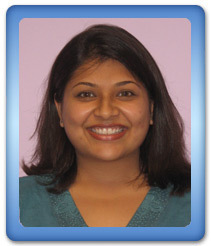 You could not ask for a more professional, compassionate, competent group of dentists and staff. My kids have *never* complained about going to the dentist, because they have always been treated so well. Many, many thanks to Dr. Jaju!! Ken, Sue and Kari…. Ok, I must say that I cannot go on any longer without posting a comment. I have been following Ryan’s story since the very beginning. I have not commented because I just don’t have the right words. (I am not the writer that Ken and Sue are, which by the way I love the humor.) I am truly amazed by the LOVE and CARE that you (Ken), Sue and Kari are expressing towards your awesome son and brother, Ryan. I check on Ryan and his progress numerous times a day and so look forward to the posts. Even though I don’t know the family, I didn’t attend WVU, and I don’t know anyone that is associated with your family, my heart has been burdened since the beginning. I admire the friends that post encouraging words and I am delighted that Ryan has such a terrific support team. Please know that it is my constant prayer that Ryan will awaken and utter that first word that you all are so longing to hear. I will continue to pray, pray, pray and keep the faith that Ryan will be healed. I am a firm believer that our God is an awesome God and he is looking over the entire “Team Diviney” and especially Ryan. Thoughts and prayers with you all always!!! You know You have been doing a Amazing Job all long with taking care of Ryan! Rock On!!!! Once again you guys rock! I hope you are taking as good of care of yourselves! Stay strong. She is fantastic! She is the dentist that just extracted Brooke’s teeth yesterday. She was so good with Brooke. This is great news! Although, I’m not really surprised. You’re taking such great care of Ryan in every other aspect of his health, why not his dental health? You guys rock!! Puff those feathers and strut on down the road! You go Ken and Sue! Walk tall and stick your chest out my man, you are an exceptional parent and are doing a heck of a job. Ryan is really lucky to have parents like you and Sue. I’m glad the oral examination went well. Keep up the good work.